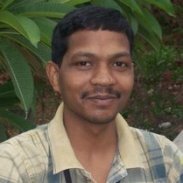 In a strongly worded letter, Gladson Dungdung, general secretary, Jharkhand Human Rights Movement (JHRM), Ranchi, has asked the President of India to either "protect the rights of the Scheduled Tribes (Indigenous People of India) or to shoot all of them at once rather than excluding, discriminating, exploiting, torturing and making them landless, resourceless and beggars by alienating them from the natural and livelihood resources in the name of growth and development." The letter has been written in wake of persecution faced by tribals who were refused representation to President Pranab Kumar Mukherjee on April 30, during his inauguration of a power project of the Jindal Steel & Power Ltd at Sundarpahari, which comes under Godda district of Jharkhand. Dungdung said, "It is extremely painful to state that I come from an Adivasi family, who was displaced by an irrigation project without rehabilitation in 1980 and my parents were brutally murdered in 1990. managed to survive. On April 30, 2013, you inaugurated However, it seems that the tribal people were not allowed to put their concerns in front of you. The tribal people of 11 villages had gathered near Sundarpahari to raise their voices against the power project as some of them had already been displaced during the construction of Sundar Dam and now they’ll again be displaced by Jindal’s power project." Pointing out how these tribals were detained in Sundarpahari police station instead of being allowed to make a representation to the President, the senior tribal leader said, "The question here is do they have right to freedom of expression under Article 19 of the Indian Constitution? The police have regularly been coercing the tribals who don’t want to surrender their land to the Jindal Company. According to the Santal Pargana Tenancy Act 1949, the land is non-transferable and non-saleable, whether owned by tribals or non-tribals. But how the tribals land is being bought by the Jindal Company? Is the Jindal Company allowed to violet the rule of law?" Dungdung reminds the President, "The Supreme Court of India through a writ petition (CIVIL) NO. 180 OF 2011 (Orissa Mining Corporation Vs Ministry of Environment & Forest & Others) has said that the Section 4(d) of the PESA Act 1996 says that every Gram Sabha shall be competent to safeguard and preserve the traditions, customs of the people, their cultural identity, community resources and community mode of dispute resolution. Therefore, Grama Sabha functioning under the Forest Rights Act read with Section 4(d) of PESA Act has an obligation to safeguard and preserve the traditions and customs of the STs and other forest dwellers, their cultural identity, community resources." He wonders, "The Court has ordered the State Government to settle the matter with the Gram Sabha. But is the case of Jindal Company, where is the role of Gram Sabha? Why it has been undermined or put aside? Why did PESA Act 1996 not enforced in this case? Is it because the head of the Jindal Steel & Power Limited is one of the powerful leaders of the Congress Party?" Dungdung further states, "The Supreme Court has also said through a writ petition (CIVIL) NO. 180 OF 2011 (Orissa Mining Corporation Vs Ministry of Environment & Forest & Others) that the Scheduled Tribes have the religious freedom guaranteed under Articles 25 and 26 of the Constitution. It guarantees them the right to practice and propagate not only matters of faith or belief, but all those rituals and observations which are regarded as integral part of their religion. The Court has ordered to protect and preserve the tribals’ deity." Despite this, "in last 65 years of Indian democracy, thousands and thousands of sacred groves, religions places and graveyards of tribals were either submerged in dams or destroyed in the name of development. These are several sacred groves and religions places of the tribal would be destroyed by the power project of the Jindal Company. However, the question is do the tribals really have the freedom of religion as the Apex Court has stated? Why is Government not upholding the rule of law?" Dungdung tells the President that the tribal people "have already lost more than 23 lakh acres of land in Jharkhand in two ways - i) The major part of tribals’ land were taken away from them in the name of growth and development and ii) the non-tribals who came into the 5th Scheduled Area of Jharkhand for jobs also grabbed a huge portion of the tribal land illegally after earning huge money from the development projects and mining." He reminds the President, "Though the Article 19 (d) & (e) allows the all citizens to move freely throughout the territory of India and to reside and settle in any part of the territory of India but sub-clause (5) also emphasizes that the state can impose reasonable restrictions on the exercise of any of the rights conferred by the said sub-clauses (d & e) for the protection of the interests of any Scheduled Tribe. However, nothing has been done in this regard to protect the tribal people. Consequently, the population of the non-tribals is multiplying in the Scheduled areas and the tribal population is rapidly declining." He states, "The Jharkhand Government has signed more than 100 MoUs with national and multinational companies, who are grabbing the trabals land illegally and the government is facilitating it instead of protection the land rights of tribals. The Jharkhand Government has also proposed for two industrial corridors under the Jharkhand Industrial policy 2012. According to JIP-14 (a) the state government will initiate necessary steps to promote/ develop two industrial corridors, namely Koderma–Bahragora and Ranchi-Patratu-Ramgarh Road, where the efforts will be made to develop the corridor with 25 KM each side of four laning, which means, major part of the land will be handed over to the corporate houses. If that happens then where will the tribal people go?" Dungdung asks the President: "Do they have right to a dignified life? On January 5, 2011, the Apex Court of India while hearing on an appeal (the special leave petition (Cr) No. 10367 of 2010 Kailas & others Vs State of Maharashtra) said that the tribal people (Scheduled Tribes or Adivasis), the Indigenous People of India but they were slaughtered in large numbers, and the survivors and their descendants were degraded, humiliated, and all kinds of atrocities inflicted on them for centuries. They were deprived of their lands, and pushed into forests and hills where they eke out a miserable existence of poverty, illiteracy, disease, etc." He adds, "And now efforts are being made by some people to deprive them even of their forest and hill land where they are living, and the forest produce on which they survive. Despite this horrible oppression on them, the tribals of India have generally (though not invariably) retained a higher level of ethics than the non-tribals in our country. They normally do not cheat, tell lies, and do other misdeeds which many non-tribals do. They are generally superior in character to the non-tribals. The Apex Court said that it is time now to undo the historical injustice to them. However, the Indian Government has done nothing to protect them. Instead, it has been facilitating in corporate land grab of the Adivasis of India." 1. To order for investigation on detention of tribals and land grab by the Jindal Steel & Power Limited in Sundar Pahari and also cancel the Jindal’s power project as it is a severe threat to the existence of the tribal people especially the Primitive tribes (Paharia) of Sundar Pahari. 2. To investigate and cancel all the MoUs signed since 2000 without consent of the Gram Sabha under PESA Act 1996 and also order for withdrawal of the Industrial Police 2012 and order the state administration to return the illegally acquired land of the tribals by the corporate houses. 3. To order for a judicial inquiry in all the cases of illegal land grabbed by the non-Adivasis in the Scheduled areas. 4. To order to stop the corporate to buy land by themselves and order the Government to acquire land under the Santal Pargana Tenancy Act 1949 and Chhotanagpur Tenancy Act 1908 for development projects with the consent of the Gram Sabha under PESA Act 1996. 5. To order the Government to enforce the rule of law i.e. Constitutional provisions, 5th Schedule Area, PESA Act 1996, CNT Act 1908, SPT Act 1949, the Forest Rights Act 2006, etc. State terrorism against civil society?